Take a few minutes today to celebrate eye patches. Today, May 21st is the day where people all over the world will honor patches, today is "I Need A Patch For That" day. 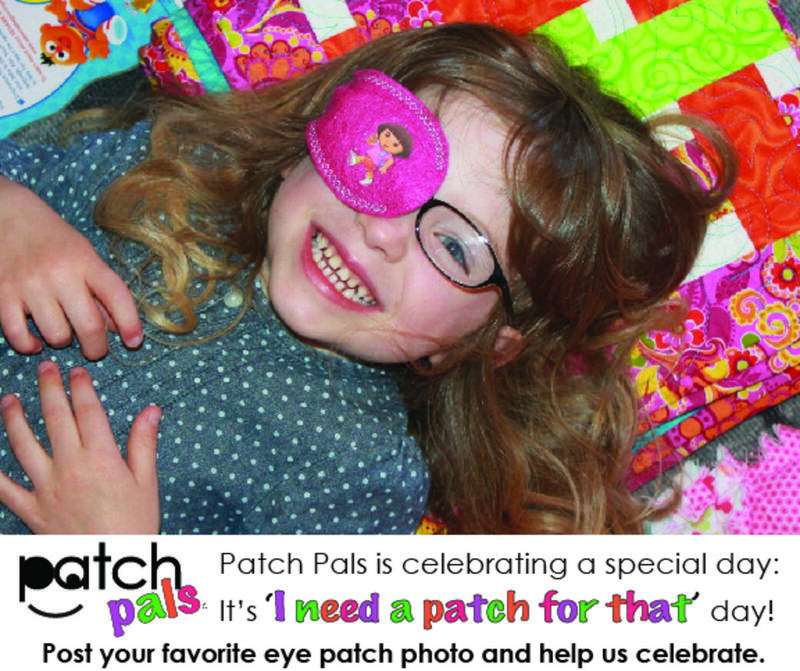 So post your favorite eye patch photo and let everyone know you are celebrating! "I Need a Patch For That Day" holiday. "Some holidays are set up with the express purpose of ensuring that something we often take for granted or miss entirely receives the honour that it deserves. Do we really need a day to celebrate patches? Well, think about it. Every single day we take many little things for granted, even though we would often struggle without them. Think of I Need A Patch For That Day as an idea that helps us to appreciate those little things in life."